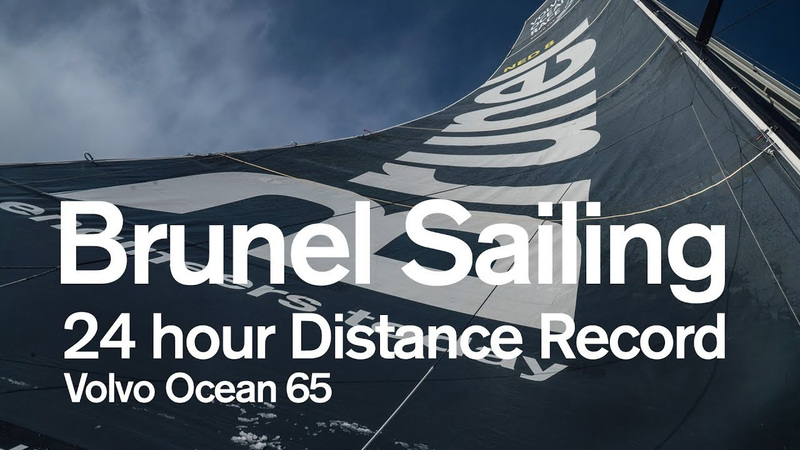 Team Brunel, at the head of the Volvo Ocean Race fleet on Day 5 of Leg 9, has provisionally set a new 24-hour distance record in the Volvo Ocean 65 class. 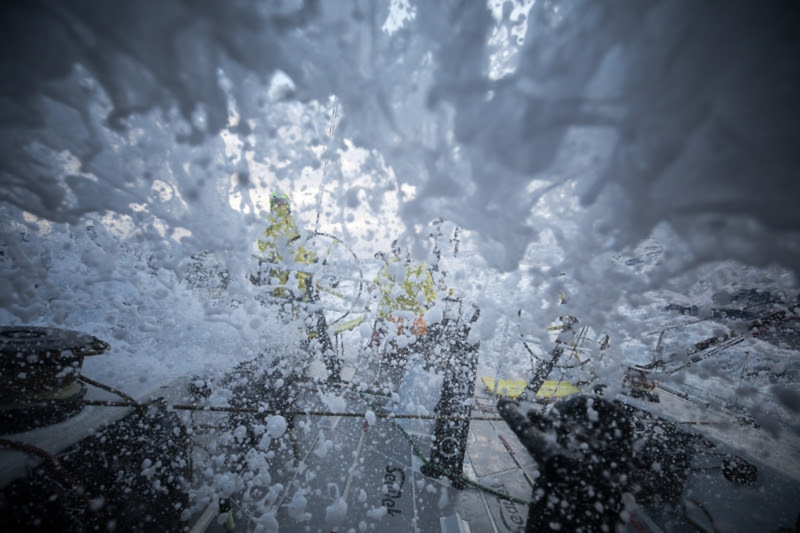 The team blew past the previous record of 550.8 nautical miles set in the last race by Abu Dhabi Racing just after 14:00 UTC on Thursday afternoon. Since then the team has kept adding to the mark. By 15:45 UTC, the new record stood at (provisionally) 560.06 nautical miles. But Brunel isn't alone. team AkzoNobel is just 6 miles behind Brunel on the Leg 9 leaderboard and has also broken the old standard, and sits about 3 miles behind Brunel in terms of the outright record.